...a superb portrait of a band and an industry in flux...first and foremost about the art and joy of making music, with extensive and crisply recorded footage devoted to songs in various stages of development and deconstruction. Building on three critically acclaimed records and a reputation for phenomenal live shows, Wilco seemed poised to cement its reputation as one of the great American rock groups. So how is it that one year later, with a completed record in hand, the band found itself rejected by its corporate label and missing two of its original members? First-time filmmaker and award-winning photographer Sam Jones was on hand, chronicling this turbulent chapter in Wilco’s history as it unfolded. 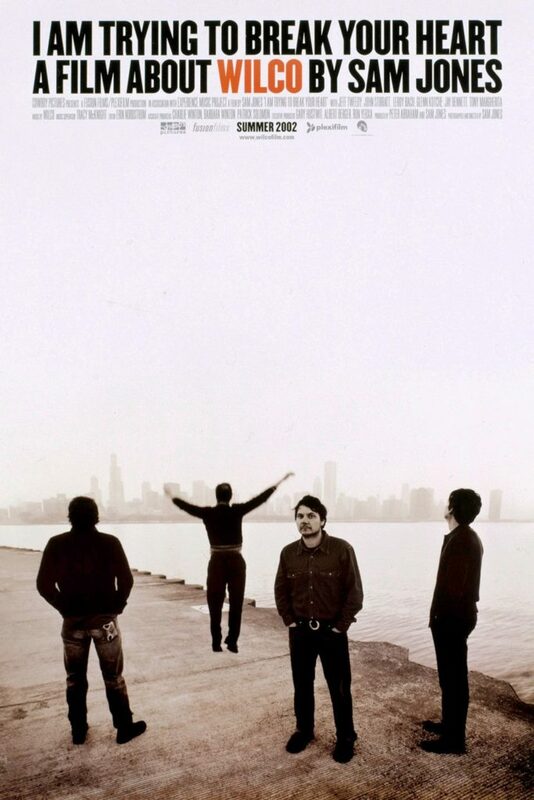 Throughout the film, Jones tempers the backstage dramas and unfathomable corporate shenanigans with inspired live performances, as frontman Jeff Tweedy and company perform songs from Yankee Hotel Foxtrot and previous Wilco albums. Shot in luminous black and white, I Am Trying to Break Your Heart is a riveting portrait of a band making the best music of its career. USA. 2002. 92 minutes. Not Rated.